﻿ Best Price on El Mirador Ecologico, Ometepe in Altagracia + Reviews! Located within a 15-minute walk of Concepcion Volcano on Ometepe Island with excellent views of Lake Nicaragua, this quaint hotel features a pool, complimentary breakfast and is a 10-minute drive from Santo Domingo Beach. 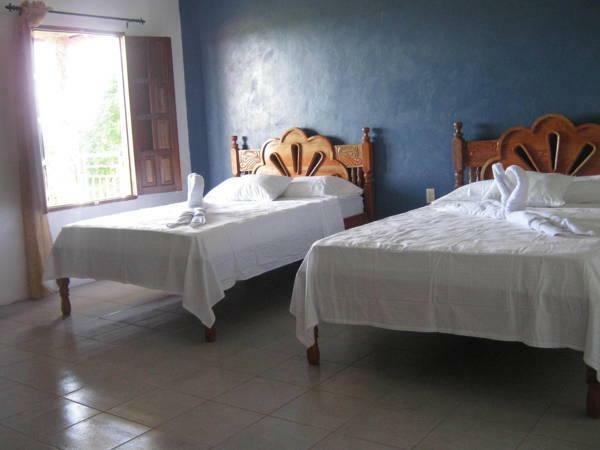 The simple rooms at Hotel Finca El Chipote come with air conditioning, tiled floors and daily maid service. The bathrooms are private and include a shower and toilet. The hotel’s on-site restaurant serves traditional Nicaraguan cuisine, and is open for breakfast and lunch while it also offers free WiFi. Guests will find a variety of other dining options within 1.9 mi of Finca Hotel El Chipote. Bike and motorcycle rental is available at Hotel Finca El Chipote and guests can also arrange tours of Concepcion Volcano. Guests will find Altagracia’s Central Park and main cathedral within a 5-minute drive. Hotel Finca El Chipote is less than 81 mi from Managua’s International Airport, and the island is accessible by ferry from San Jorge. Transfers to local sights are also possible. Please note that the included breakfast is continental.